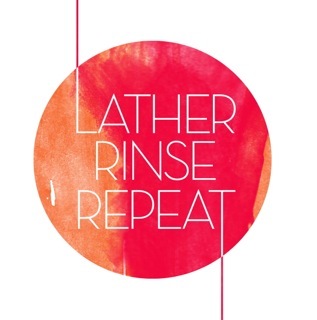 Welcome to Lather Rinse Repeat's series of summer themed posts! Every post that features the above banner will be serving up a review of a useful product or service for you to take advantage of in the warmer months. Ever wanted to work out exactly what's going on with your skin? Whether you've got overactive oil glands or dry patches and their causes? Or is your face freaking out due to seasonal changes and you need to refresh to a lighter skincare solution for summer? Rather than self-diagnosing like I previously had ("I have a pimple therefore my skin is the oiliest ever and I'll now burn it to the ground with salicylic acid. Yes, burn them all! "), pop along to your local Ella Baché salon for their Summer Skin Day this Thursday 22nd of November. Totes free, with no appointment needed, roll up (no need to remove your make-up) and have your face pored over with Ella Baché's TrUView skin diagnostic tool. Yes, there's far too much capitalising in that name for my liking too. /grammar nerd. I went to the World Square salon (Sydney) to see Shae and her team for my diagnosis. Shae (instantly awesome because she had pink eyebrows) had me fill out a form to determine and factors that could be affecting my skin's condition. She then literally inspected me under a magnifing glass - the TrUView device magnifies and allows the therapist see into your upper dermis. I stole this pic from the EB website, but it's pretty much what happened. Maybe more pink eyebrows. - but I did have some dehydrated cheeks and related irritation. Luckily Shae broke that to me gently and walked me through the products that I can use to combat my (minimal) skin concerns. My favourite? The Hydra Velvety Soft Cream, a no-nonsense dose of moisture to layer over my serum at night. To have your skin sussed out with TrUView, shimmy over to your nearest Ella Baché salon this Thursday November 22nd. Say I sent you. Then wink real slowly. Reeeeeeeal slowly. They'll know exactly what you mean. Pinky promise. ALSO IMPORTANT! Ella Baché World Square has some super honest staff. I left my phone there and they blog-stalked me and emailed me to pick it up. Honestly! They didn't even try to take my super sweet cat and yarn phone case, which honestly is incredible because that's a killer phone case. You can find your closest salon here. I think you can still go in to get your skin checked out, this was the launch day of the initiative? for your games, previews, etc. There are actually instances where such sites have gone off air suddenly, leaving gamers quite inside lurch.